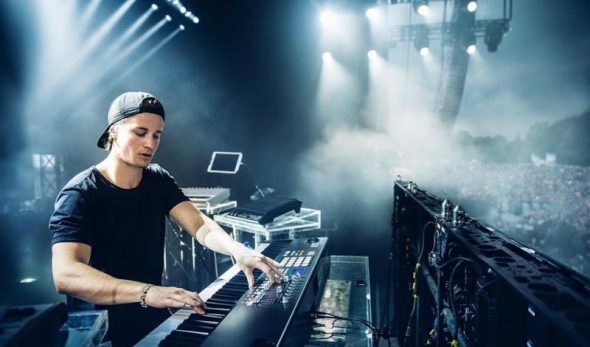 Wynn Nightlife announces an exclusive two-year residency with famed Norwegian musician and producer, Kygo, who begins his first-ever residency at the kick-off of NightSwim, the resort’s nighttime pool party season, on April 30th in XS Nightclub at Encore. With the launch of NightSwim, Wynn Las Vegas becomes the only destination on the Las Vegas Strip giving club goers nighttime pool parties Friday through Sunday, offered at XS and Surrender nightclubs, and Encore Beach Club, through mid-October. In an announcement video inspired by his water-themed residency, Kygo was joined by the world-class Las Vegas performers of Wynn Las Vegas‘ aquatic spectacular, Le Rêve – The Dream, for an unprecedented artistic collaboration between a nightlife venue and a production show. Soaring above the aqua theatre’s 1.1 million gallon pool, the classically-trained piano prodigy plays a medley of original songs as he descends through storms of rain, fire and snow, punctuated by nine synchronized swimmers performing a custom choreographed underwater routine around him.